The two top boards are almost 2″ wide, which is much bigger than my machinery. So, I pulled out a few hand tools and got to work. 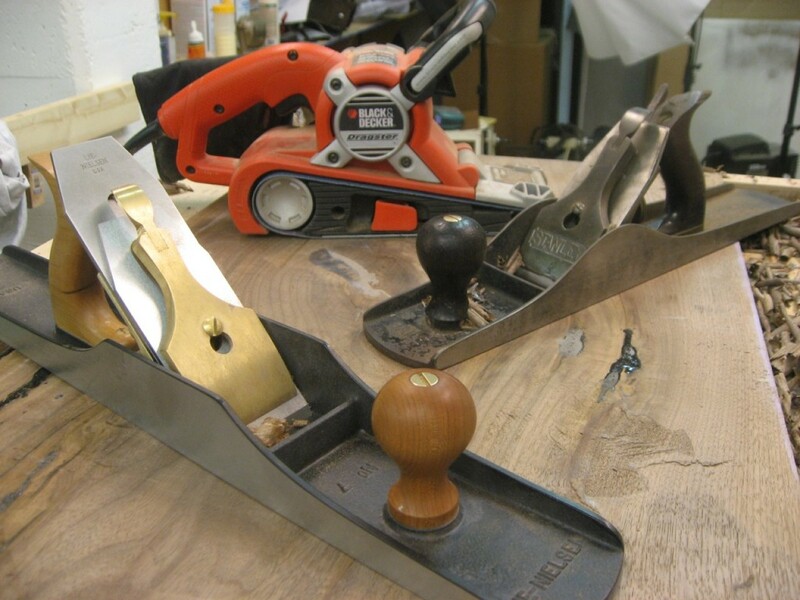 I used an old #6 Stanley hand plane with a very camabered blade, a new Lie-Nielsen #7 and even a belt sander. Tools for flattening: #6, #7 and a belt sander! 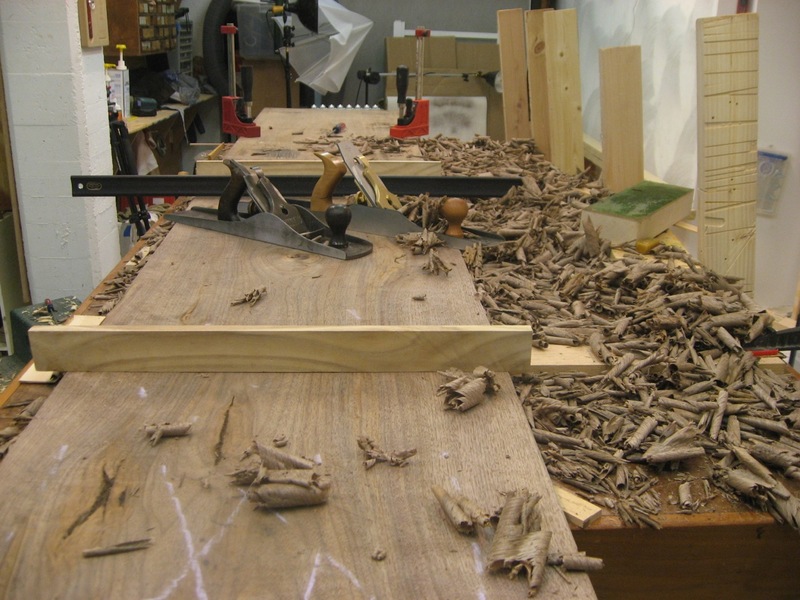 I”d mostly use the Stanley #6 across the grain, taking very thick shavings to quickly remove material on the boards. Winding sticks and a straight edge check progress. 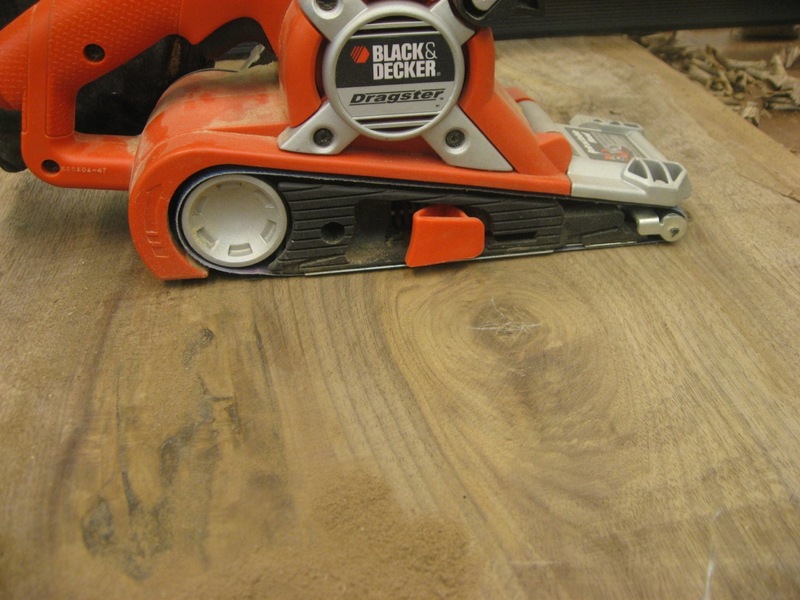 The belt sander was used on knotty areas where the hand plane was really tearing out. 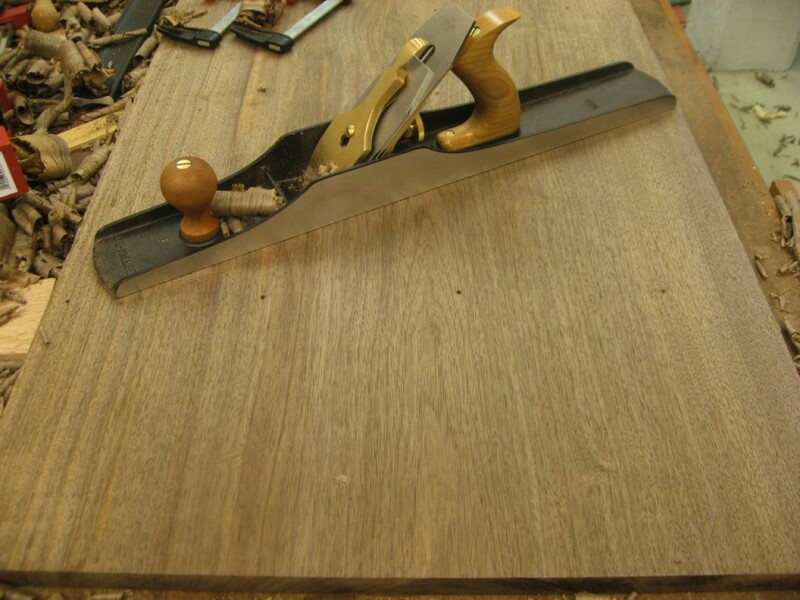 The Lie-Nielsen #7 was set for thinner shavings and used diagonally and with the grain as the final passes. Just came across this post and it’s great timing for me. My friend and I are trying to restore and old buffet we rescued from the garbage. The top is in 2 pieces and warped so it won’t lie flat. This top is not veneered but solid wood and your article makes me think I can use your technique to get the top to lie flat again! Thanks a lot for sharing these wonderful tips. I love your post. Keep posting.